Guided private tours to Agri, see the monumental Mount Ararat. The Agri province is situated in Eastern Anatolia extending to the Iranian border. One of the highest regions in the country with its amazing mountain formation. 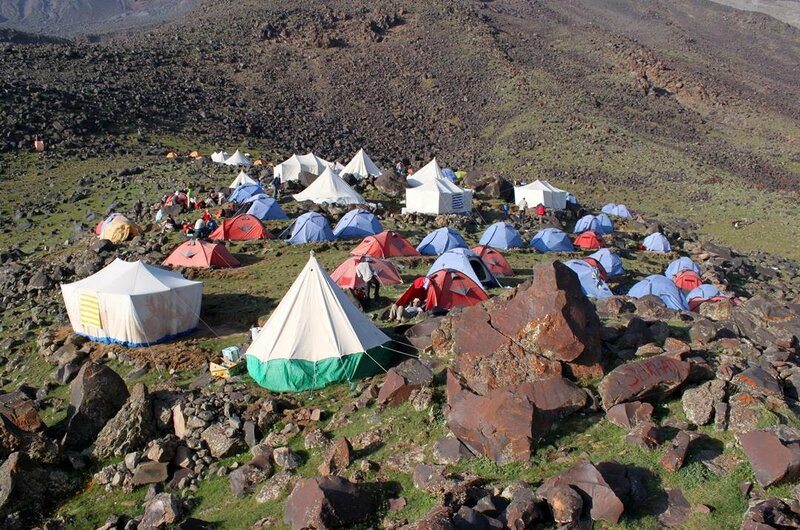 Mount Ararat custom tours offer magnificent scenery, the skiing and mountaineering (permit permitting) are very popular in this region with locals and international sports enthusiasts. There is also hunting available in the, but necessary permits need to be purchased before any hunting tours or activity. 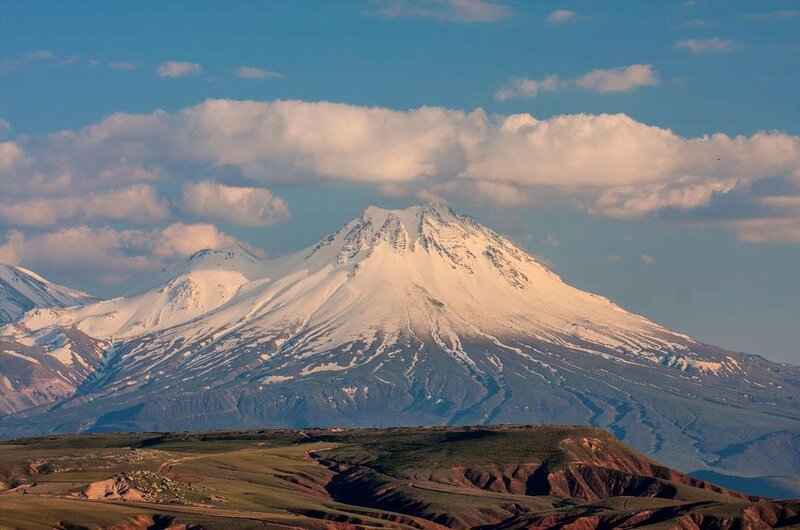 Escorted private tours of Mount Ararat / Agri see this snow-capped dormant volcano it is visually spectacular. The highest peak in Turkey it rises to an overwhelming 16,945 feet (5165 meters)). Said to be the legendary site where Noah's Ark rested on its summit during the big flood. The foot of the mountain is said to be the first place where Noah set foot on land after the disaster. 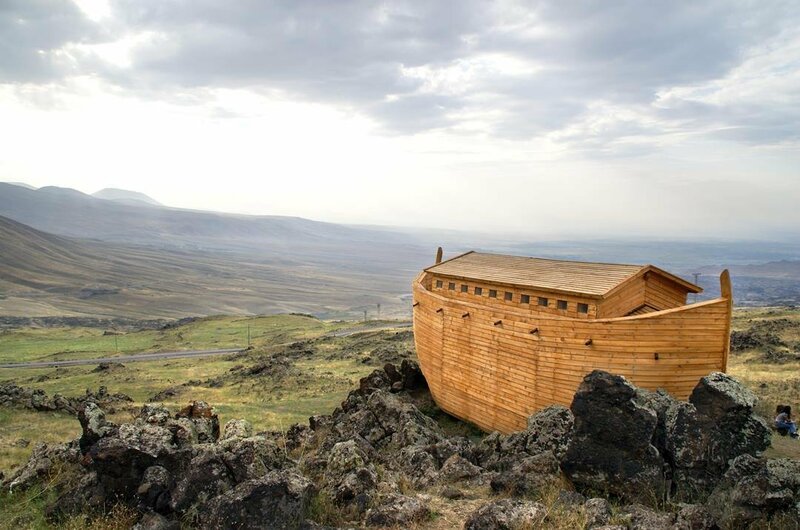 Allegedly a geological hollow was unearthed near the Uzengili village that has the shape of the Ark which makes it a popular destination for tourists. 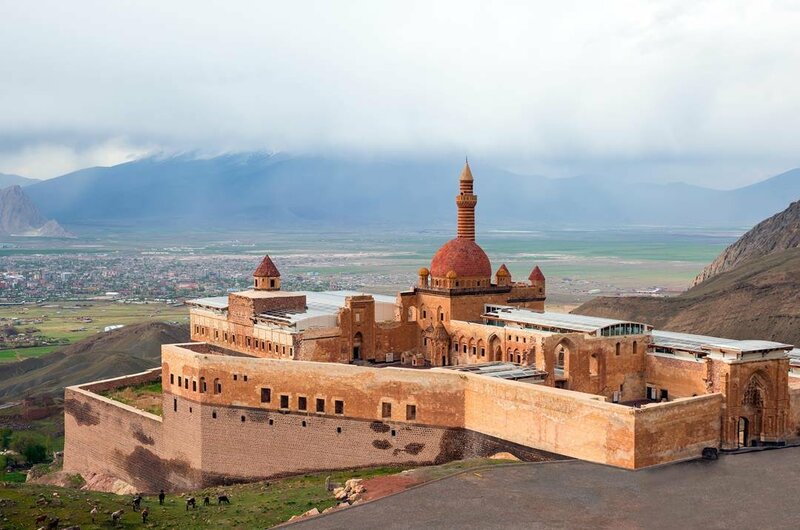 2 The İshak Paşa Palace stands on a small plateau beneath stark cliffs combining Ottoman, Seljuk, Georgian, Persian and Armenian design; the palace construction began in 1685 and completed in 1784. On a private sightseeing tour of the palace's elaborate entrance to the portal leads into a courtyard, which would have been open to merchants there are dungeons in the far right corner. 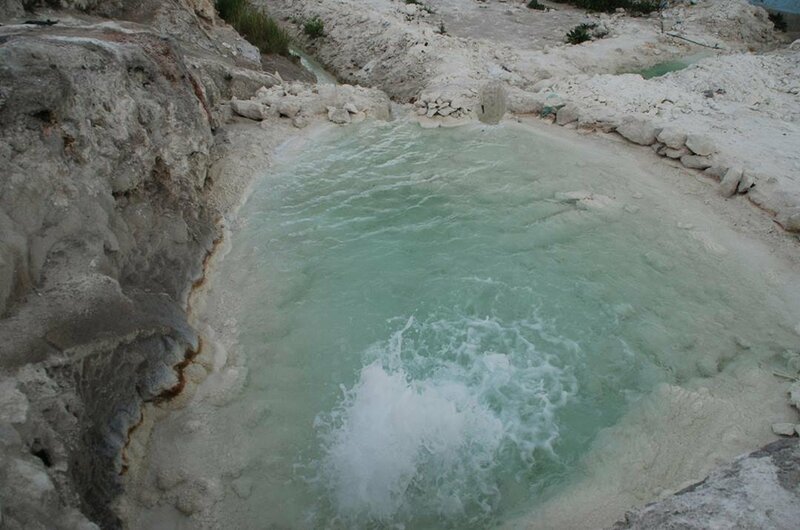 3 Arrange a private tour to Diyadin hot springs are located in Agri and takes its name from this beautiful province. The Murat River passes through the thermal springs site which enables these amazing pools to reach high temperatures. While it is not noted if they have healing powers they will make you feel great and ready to continue on your tour journey. 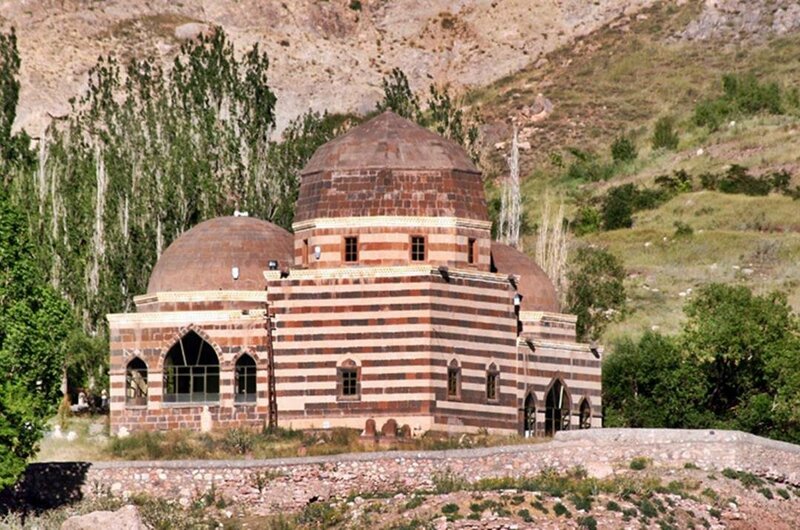 4 Ahmed-i Hani was a famous philosopher born in the Han Village district of Hakkari in 1651. He was such an influence on the locals that his tomb is located in a particular area at the top of the Past Palace. This lovingly preserved monument stands proudly today and is a prominent stop on Agri private tours. 5 Agri Mountain National Park is located on the borders of the eastern Anatolia region of the Agri Province. This park is worth a visit on Agri private tour. Many mountaineers and explorers come all year round to travel through the park and climb the famous Agri Mountain. The scenery is fantastic, and the views are spectacular. 6 Noah’s ship monument is visited by thousands of international tourists and religious pilgrims every year. The outline of the famous Ark is visible in the land formations with sections exposed on three different levels. Some shapes resemble various parts of the ship and its masts. Your tour guide will give you detailed descriptions of the monument. 7 Meteor Rook private guided tours takes you near to the opening of the massive meteor sinkhole located in the Agri district. 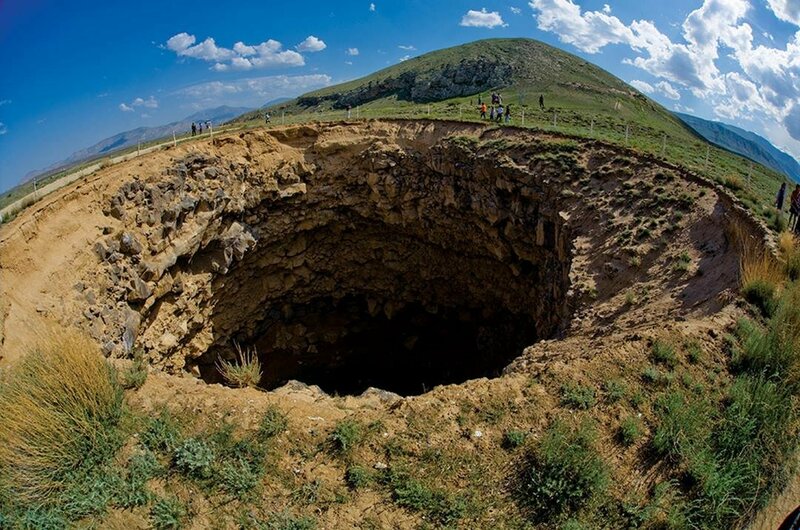 Sometime in 1892 a meteorite feel in the area and created this unique sinkhole. Throughout the years with erosion and falling debris, the depth of the sinkhole has considerably reduced but is still amazing to see. While Agri is on the border with Iran the weather system is quite similar, however, any mountaineering expeditions will have to be arranged directly as specific ascent dates are arranged far in advance. During the high season, the weather is perfect for sightseeing tourists. The Agri region is the ideal for adventure The flights are a good price, and you can visit turkey any time of the year. However, this region gets snow and bad weather in the winter time. The currency is Turkish Lira, but they accept all currencies so don't worry. You are best changing money in Turkey as you get a better rate than you would do back home. You will find most of the pensions and hotels are clean and reasonably priced. 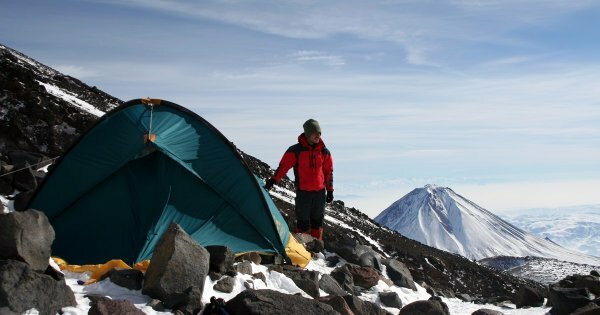 While many avid mountain climbers, skiers and hunter's would have a huge interest in visiting the Mount Agri mountain and region, please note that special permits are required for any hunting and mountaineering expeditions. The government have strict regulations regarding any custom private tour climbs so make sure to book your trip with an accredited tour/climbing company. Agri is hot! hot! hot! Normally, but during April, May, September and into early November the weather is relatively mild and manageable and good for climbing. Mount Agri is snow-capped for most of the year.